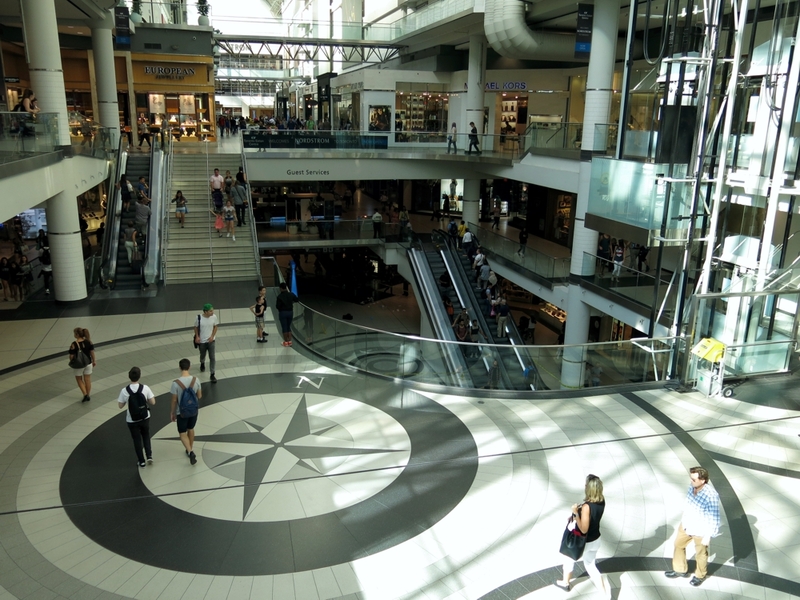 The September 20, 2016 stabbing at the Toronto Eaton Centre was a shocking look into violence that strikes at the heart of a city. Two men attacked a man and stabbed him multiple times with a steak knife. 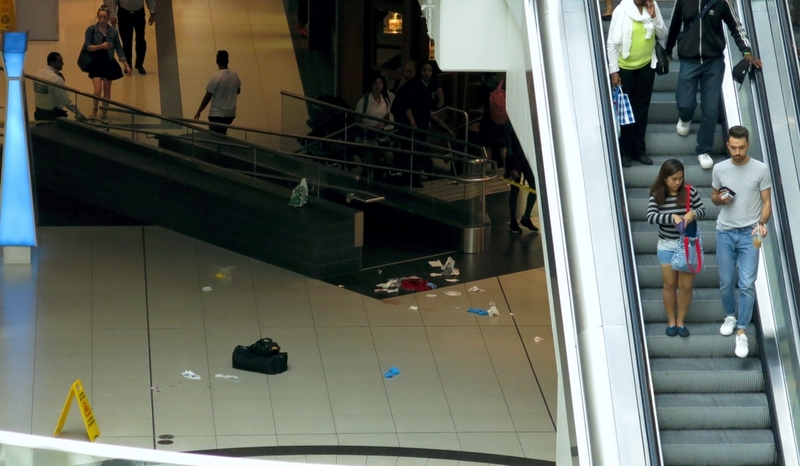 The victim lived and was taken to hospital while the two men left the shopping mall. The police caught one of the attackers and have charged him with attempted murder. A mall security guard jumped into the fray and was instrumental in saving the man's life. 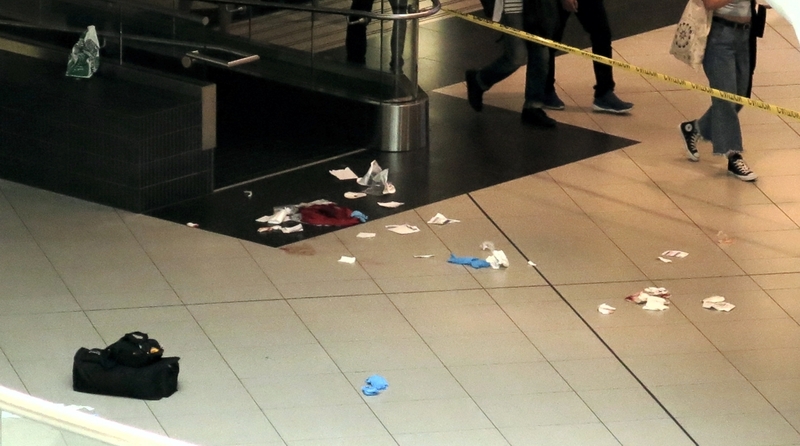 In the mall, life goes on as if the blood and debris contained in the crime scene tape was an act of fiction. The incident happened on the lower level and the rescue gear is mixed with the blood of the victim near the fountain.